Eight years on from the TEPCO Fukushima nuclear accident, the government and Fukushima Prefecture, while making appeals for the reconstruction of Fukushima, are attempting to end housing provision and economic support in the areas to which evacuees from the nuclear accident have evacuated, and are attempting to brush the difficulties faced by the evacuees under the carpet by the time the 2020 Tokyo Olympic Games are held. “Eight years have passed since the nuclear accident. We would like to ask you to become independent now.” The government and Fukushima Prefecture are making these kinds of statements that coerce independence by a deadline set by the government, the perpetrator in the nuclear accident, as they gradually cut off various kinds of support. They say that this is because many people in Fukushima are now living normal lives. We planned a Fukushima site visit for officers of the consumer’s cooperative from January 18. As we headed toward Tomioka Town from Iwaki City, we encountered trucks going the other way along National Route 6 several times. They were carrying decontaminated soil to the intermediary storage facilities in Futaba Town and Ohkuma Town from the provisional storage yards in vacant lots and so on all over the prefecture. The evacuation order for Tomioka Town was rescinded in April 2017, but of the original population of 16,000 only 430 residents have returned, making a total of no more than 800 people (about 5%) when workers from outside are included. When I visited in March last year, it was about 3%, so the return is not moving forward. Apparently, there are 22 children. 30% to 40% are in their 40s and 50s, the vast majority of the remainder being elderly people. Transport services for the elderly are also limited. Isolation is unavoidable due to the lack of infrastructure for daily life. The government lifted the maximum exposure dose standard at which the evacuation order can be rescinded to 20 millisieverts/year (mSv/y). Before the nuclear accident it was 1 mSv/y and the current status in Tomioka Town is 2.3 mSv/y. Before the cutoff of free provision of emergency temporary housing for roughly 12,000 (at the time) households of autonomous evacuees at the end of March 2017, Fukushima Prefecture began individual interviews to have evacuees evicted from the housing in their evacuation destinations in May 2016. I was contacted in the middle of the night from a train station somewhere by a mother who had evacuated with her young child. Having heard the explanation in the interview, she had become anxious about her future, and had wandered the streets holding her child and thinking about killing herself. The Evacuation Cooperative Center, of which I am the secretary general, was founded In July 2016, the trigger for this being the need to shelter that mother and child. In the two years after the founding of the center we have received more than 150 individual consultations about housing and daily life problems from autonomous evacuees. The reason the center was founded was that we understood about the adverse economic circumstances evacuees had fallen into due to the cutoff of provision of free housing. I am not able to forget even now, one of my first support cases, a woman who killed herself after evacuating with her children. The woman, the same age as me, was repeatedly told by her husband, “The TV is saying it’s OK. You’re an idiot. There’s no need to escape. Come back to Fukushima regularly to look after me.” Even so, she took two jobs at their evacuation destination so her children could go on to study at university. When she heard that her children had passed the university exam, she was absolutely exhausted and killed herself. I cleared up her belongings after she died. “My family has been split up. It’s my fault. I understand why my husband felt angry. If only there had been no nuclear accident… If only I had not worried about the radiation, perhaps we could have lived as we did before the earthquake disaster,” were the words she left behind. I also engaged in emergency support for a man who had become homeless. One night in April last year I suddenly received an email message. In fact, I had been contacted by the man a year earlier. “I evacuated from Koriyama City to employment promotion housing in Kanagawa Prefecture, but I was evicted when the provision of free emergency housing ended and am now roaming the streets.” He could not go on living in the employment promotion housing without a certain level of income. I waited for him in front of the ward office but failed to meet him. Later, he contacted me to say that he would look for work that offered accommodation and did not contact me again. This new email message was arriving a year after that. I waited for him at (Tokyo’s) Shibuya Ward Office and this time managed to meet him. He was down to his last five yen. He had no baggage and it was obvious he had been wearing his clothes for a long time. He told me he had lived in Yoyogi Park and an Internet café in the intervening year. He had applied for social relief, and had secured a place to live from that day, a single room shelter. He told me that in March the previous year, the person in charge at Fukushima Prefecture had said, “Everyone is living normally in Koriyama. Please come back to Fukushima.” They cut off support across the board without asking about anyone’s individual economic situation. We carried out work to ascertain individual preferences for housing from April onwards for three evacuees from the Shinonome housing block who came to our consultative meeting at the end of January. Every one of the evacuees has serious anxieties because of the pressure from Fukushima Prefecture. They are sick to the back teeth of the “one-sheet letter of notification of eviction” and the announcement that “If you do not find a place to move to by March 10, the subsidy for moving home of 100,000 yen will not be paid.” This is the Fukushima Prefecture housing consultation; simply, “We want you to leave before the deadline.” No one can expect a warm response from housing consultation like that. But they are fed up with being put under pressure like this. Many say: “If there is a good place to live, we’d like to go there and live a ‘peaceful life. '” But there is virtually no housing that can be rented on the income of the lowest level wage for non-regular work in Tokyo’s Kohtoh Ward. The three persons did not choose to live in the Kohtoh Ward evacuation housing because they wanted to be there. It was because the workplace of all three of them is in Kohtoh Ward. They said they had managed to find the workplace after a lot of searching. How far will they be able to move outside Kohtoh Ward? The Evacuation Cooperation Center, and the Independent Daily Life Support Center Moyai (‘Anchor’) are carrying out housing support activities, finding out how much rent people can pay, how much of the preliminary moving-in costs the person can get together, and then continuing to search for housing matches. We do not say, like Fukushima Prefecture, “Please go to the real-estate office yourself.” We carry out detailed follow-up, going with people to view housing when searching for somewhere to live, and even conduct daily life problem consultations. A woman in her thirties who had evacuated from Iwaki City came to the consultation meeting. She had found employment with a beauty-related company in Tokyo, but ended up with bipolar disorder when she met with slander and bullying at her workplace because she had evacuated. She left the job and is now commuting to the hospital while trying to find new employment. She said, “I am in no state to leave my place this spring. I would like them to wait a little, at least until I recover.” The prefecture, however, says, “Extension of occupation is difficult. If you cannot move by the end of March, we will bill you for double the rent.” Unable to take the pressure from the prefecture, she has moved to Kanagawa Prefecture, where she is dependent on a friend. Voices of evacuees facing difficulties such as “I cannot pay the rent from April,” “I cannot pay the moving costs or the money for the renewal” because of the March 31 end of rent subsidies for private rented housing and the end of support policies by the municipality to which people have evacuated have reached the Evacuation Cooperation Center. We have heard voices such as “I have no option but to procure funds from a credit card loan.” It is certain that from April onward, the number of evacuees who are “in rent arrears” or have “multiple debts” will increase. We had SOSs from evacuees from the former limited residence zone in Odaka Ward, Minami-Soma City. 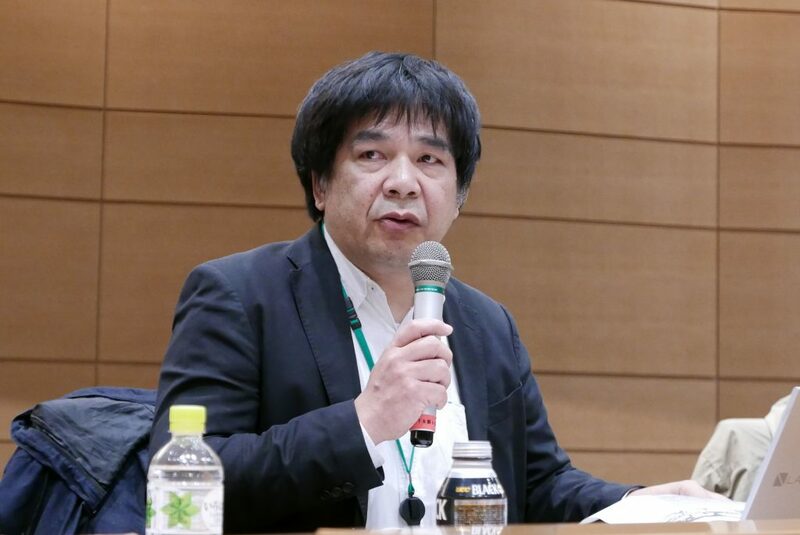 Although there had been specific extensions in the zones where the evacuation orders had been rescinded in Soma City, Kawamata Town, Katsurao Village and Iitate Village, the free provision of emergency temporary housing will end at the end of March. If Fukushima Prefecture ends the system of renting housing to provide to evacuees, it will be necessary to have the landlord consent to the continuation of occupancy for those evacuees continuing to live in the private rental housing. While it is not widely known, it was Fukushima Prefecture itself that made the decision to end support for the autonomous evacuees, the government later approving and adopting Fukushima Prefecture’s decision. In June 2012, the Nuclear Accident Children and Victims’ Support Act was adopted unanimously by the Japanese Diet. However, the cutoff of free provision of housing to autonomous evacuees was set without any debate in either the Diet or the Fukushima Prefecture assembly. Regarding the ending of the period of occupancy of the national civil service accommodation, the Financial Bureau of the Ministry of Finance, which is responsible for the accommodation, stated in direct negotiations, “We will take a positive stance in considering an extension of occupancy if there is a request from Fukushima Prefecture,” but the prefecture did not alter it’s position on ending the support for the autonomous evacuees. The reasons given by Fukushima Prefecture for the cutoff of support are as follows. 1) People are living normally in Fukushima Prefecture. Considering the feelings of the people of the prefecture, it is not possible to give support only to evacuees who evacuated from locations outside the compulsory evacuation zones: Fairness. 2) Eight years have passed since the nuclear accident. We would now like to ask people to become independent: We can say that this is independence coerced by deadline. The Evacuation Cooperation Center has strengthened its coordination with the Nuclear Accident Children and Victims’ Support Act Diet Members’ Association. In 2018, we held “Meetings to Hear the Voices of the Evacuees” three times in Kohtoh Ward, Tokyo, twice in Niigata and once each in Fukushima and Kyoto, with the participation of the Support Act Diet Members’ Association and Fukushima Prefecture’s Life Services Department. The Diet members and municipality councilors listened directly to the voices of the evacuees who are living in different parts of the country and have requested concrete support measures in the Diet and local assemblies. Despite this, Fukushima Prefecture has stubbornly denied our requests. The most serious problem is the continual refusal to conduct a “survey of the actual situation of evacuees.” In the case that the rent subsidy is ended for those who are living in private rented housing, the vast majority of evacuees, since their income in the places they have evacuated to has dropped precipitously, far from becoming independent they will fall deeper into poverty. The prefecture refuses to investigate because it knows this is the situation and wants to keep it hidden as far as possible. According to the “Results of a Survey on the Status of Evacuees’ Daily Life” published by Niigata Prefecture on January 18, 2019, 11% of autonomous evacuees cited “difficulties and anxieties related to the end of rent subsidies for private rented housing” and 18% said “the burden of daily life expenditures is heavy.” Combining these, it is clear that around 30% of the evacuees are facing difficulties related to daily life expenditures including rent. In the “Opinions and requests to the administration” section, a total of 25% of respondents wrote, “Continuation of support for evacuees” or “Continuation of rent subsidies for private rented housing.” In a questionnaire conducted by the Society of Certified Clinical Psychologists in Kanagawa Prefecture in the summer of 2018, the most frequent response to the question “What are you currently troubled by or anxious about in your daily life?” was “Housing.” The second most frequent response was “Funds for daily life.” In the results of a current status survey in Yamagata Prefecture, 64% of the total respondents replied “funds for daily life” when asked about “difficulties or anxieties.” The next most frequent responses were “health” at 49% and “housing” at 40.5%. A similar survey by the Tokyo Metropolitan Area found that 22% of respondents had a monthly income of 100,000 yen or less and that more than half had a monthly income of 200,000 yen or less. The Reconstruction Agency and Fukushima Prefecture, however, have not conducted a daily life status survey for autonomous evacuees since October 2016, and do not even have an accurate grasp of the numbers of evacuees. Fukushima Prefecture began an Evacuee Housing Securement and Moving Support Project in July 2018. To support the securing of new housing after the end of the period of provision of emergency temporary housing in Fukushima, Ibaraki, Tochigi, Saitama, Chiba, Kanagawa and Niigata Prefectures and in Tokyo, NPO organizations, etc. were commissioned to implement the Evacuee Housing Securement and Moving Support Project. The support content is handling telephone and direct visit consultations, introductions to vacant housing, provision of housing information, accompaniment and so on to real estate businesses in the search for housing, and assistance with contract procedures. This support is limited to “consultative support” and there is absolutely no “financial support” for people facing economic difficulties after rent subsidies have been cut off. This is precisely the same as the deficiencies in the support system for the independence of people facing difficulties in daily life. “Consultation projects” have been unable to solve anything. The rent subsidy system will end at the end of March 2019. People who have not yet been able to secure housing because of this are living here and there all over the country, and we know from others who are giving support that their numbers are quite large. In this “housing poverty” issue, ranking the kinds of situations where there are restrictions (refusals) on moving into rented housing, it is not only single elderly persons and households that have family members with disabilities that are facing problems, but, in order, foreigners, those on low incomes, single elderly households, households that have disabled persons, households consisting of elderly people only, and one-parent households. The reasons are “solitary death” due to isolation, lack of cooperation with neighboring residents due to disability, “rental arrears” due to low income, and inability to find a guarantor, resulting in isolation. Many evacuees have no one living nearby who can act as a guarantor for them. How much of this is understood by the Fukushima Prefecture authorities? The Evacuation Cooperation Center has coordinated with various support organizations, such as the Independent Daily Life Support Center Moyai (‘Anchor’) housing support section, which has introduced recommended housing for many evacuees as well as consultations regarding people who will act as guarantors; the provision of sublease housing from the Tukuroi (‘Patch’) Tokyo Fund; and moving services from the Enterprise Union Aun (‘Inclusion’). Instead of pushing people off by providing them with real estate information and then saying, “OK, now please look for a place on your own responsibility,” the staff of the Independent Daily Life Support Center Moyai are even today accompanying evacuees on visits to view housing options. At a study meeting, I came up against “the reality of evacuees who are unable to show their faces.” A mother who had evacuated with her children spoke up to say, “When I thought about my children’s future rather than my own problems, I realized that it’s absolutely impossible for my children to live comfortably by disclosing my own situation.” Places where evacuee “mamas” gather are “places for hidden conversations.” This society, where those affected by the Fukushima nuclear accident have to live while keeping a very low profile has not changed one iota. That is the reality of eight years after the nuclear accident. The Ministry of Education, Culture, Sports, Science and Technology produced and distributed 14.5 million copies of the 2018 revised edition of the Radiation Side Reader for elementary, junior high and high school students and, beyond expectations, these have permeated through to schools nationwide. On the premise that “there are no health concerns due to radiation,” the book astoundingly substitutes unfounded bullying of evacuee children for the nuclear accident by saying, “Think about preventing bullying rather than worry about an accident that has already happened.” The photos of the Fukushima nuclear power plant (NPP) and diagrams showing the compulsory evacuation zones have been deleted, replaced by photos of Commutan Fukushima and scenes of reconstruction. The scale of the issues has been relatively minimized, and the focus has shifted to the future rather than the issues we face now. Content on contamination has been deleted and the book states that impacts from exposure levels of 100 to 200 mSv are no big deal. Those not directly affected underestimate the damage and suffering, whereby the affected become invisible. To those distancing themselves from the NPP, the story goes “exposure impacts are no big deal” “don’t concern yourself with the risks” “it’s better to live without worrying about it”, thus coercing “reassurance.” Evacuees are written off in the name of “reconstruction.” In March 2020, almost all housing support, and even the temporary housing itself, will be abolished. When the Tokyo Olympic Games opens, the number of evacuees will likely be a statistical zero. That’s just not acceptable, is it? In Japanese ‘jishu hinansha自主避難者’ are evacuees who were living in areas outside the mandatory evacuation districts. Although they were not ordered to evacuate by government authorities, they made their own decision to evacuate because they could not live safely in their houses due to high radiation levels. Commutan Fukushima – Fukushima Prefecture Environment Creation Center Exchange Building is a large public facility in Tamura district in Fukushima which was built to ‘reassure’ people about radiation. It has been criticized as a government and nuclear industry propaganda facility which plays down the dangers of radiation. Next story Fukushima Now: As we enter the ninth year – what is meant by “reconstruction”?